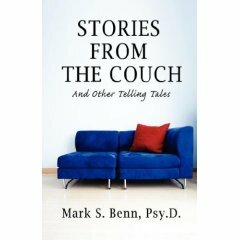 Writings | Mark S. Benn, Psy.D. always been interested people’s lives you will love this book. You can start reading at any point. Check out the table of contents and see what strikes you. I cannot know what you are ready to find or need to learn. Perhaps you can just play along and open it up and see where your eyes have taken you. My hope is that you will recognize yourself or others and you will think, feel, and see exactly what you stopped here to learn. On diversity: Chapter 16 — What’s the Difference? On raising children: Chapter 23 — Hey Buddy, Can You Spare a Dime? 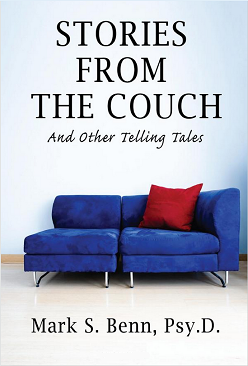 Find yourself in Stories From The Couch – 34 vignettes about you, the people in your life, and the things that make us human.